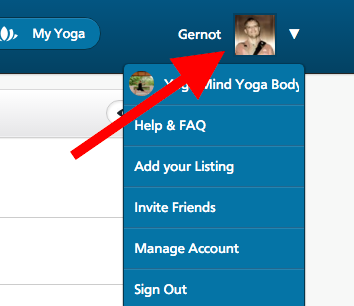 Whenever you log into your professional profile on YogaTrail, you will first go to your dashboard. Think of your dashboard as your 'Control Center' -- it's where you can see what's happening on your profile at a glance, from classes this week, to upcoming events and more. 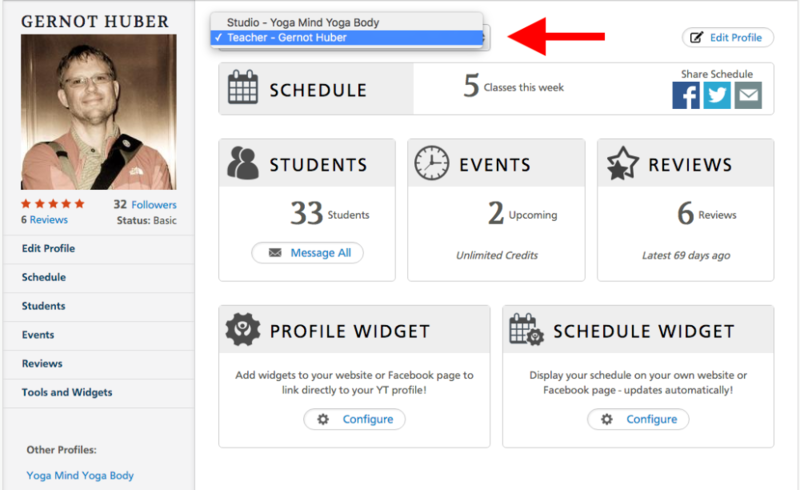 This is also where you learn about new tools available for you on YogaTrail, and where soon you'll be seeing your profile stats and numbers. The first thing to note is that Dashboards are profile specific. 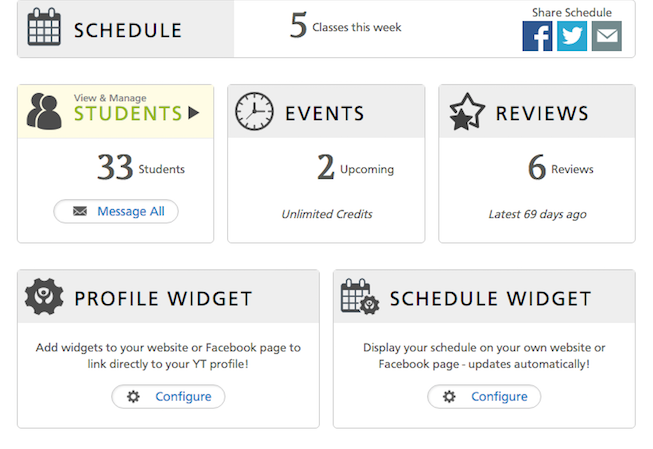 So if you have more than one profile (say, one teacher and one studio profile), each will have its own dashboard.